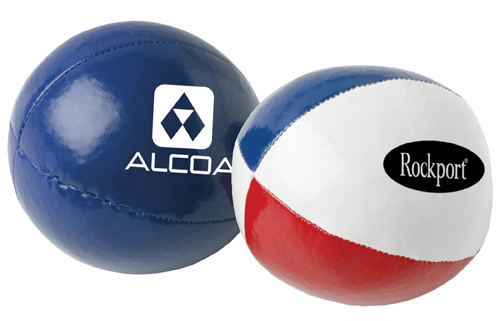 Juggle Kickball - your clients will get a kick out off it.The ball is filled with plastic rice pellets and available in Blue or Red, White and Blue. Individual Poly Bagged / 30 lbs / 100 pcs. Price includes a one imprint in one location. A set-up charge is additional at $55.00 per color. Multiple imprint colors are available at $0.25/ea per color.